The Hall was probably built for the Independent Order of Oddfellows in 1874. Its history is bound up with that of the adjacent Malt House, built in 1483 as a brewery and onto which the Hall was attached. In the 19th century it was converted into two cottages. When Mr Gray ran the mill, he obtained possession of these cottages to accommodate his workers. Before the river bridge was built, the road ran between the Bell Inn and the Malt House across a ford north of the Mill House. In the 18th century an accident to the Post Chaise caused the death of the Post Horn Man at the ford and the then Earl of Pembroke gave to Wylye the statue which stands in the river. It has now been discovered that the statue originates from the 2nd century and was collected from Rome by a member of the Earl's family on a "grand tour". Wylye was unique among the villages of the valley as it was almost entirely owned by the Earl of Pembroke. The villagers were "40 shilling tenants" entitled to vote in elections before the introduction of universal suffrage. In 1919 the Earl sold the properties in Wylye to meet the death duties introduced by Lloyd George. The Oddfellows acquired the freehold of the Hall and the Parish Council bought the Malt House. in 1957 the Oddfellows, two of the trustees being Godfrey and Fred Vallis, sold the Hall to Wylye Parish Council. The Parish Council incorporated the nearer of the two cottages of the Malt House into the Hall. This provided dressing rooms for the Amateur Dramatic Society which had a stage backing onto the Malt House. Before the 1914-18 War the village brass band practised in the Hall. 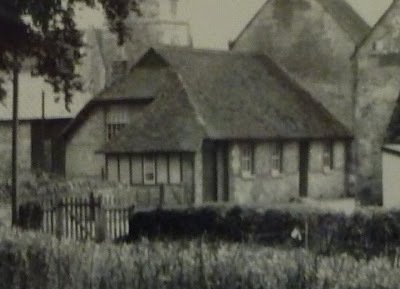 In 1978 the Parish Council sold the second cottage to Professor Richardson, the owner of the other cottage, to raise money for the renewal of the rotten floor, to repair the roof and to build the kitchen and toilets. The Hall was renamed the Wyvern Hall and was run by a committee under the Parish Council who are the trustees of the building. The Management Committee originally comprised representatives of various village organisations most of which are now defunct. The Trust Deed has since been amended. The Wyvern Hall is now a registered charity and the Committee members are the trustees of this charity. In 2006 the Hall was considerably extended and refurbished to provide a new kitchen and facilities for the disabled. Grants were obtained from "Awards for All" (lottery) and from the Wiltshire Village Halls Association. The majority of the c£30,000 costs was raised locally.